At age 18, he moved to Great Britain to attend the Chelsea College of Arts in London. He visited many exhibitions all over Europe to seek and develop the finest materials while studying arts. After returning to Japan, he joined Hachiya corporation. 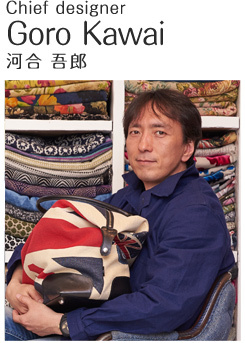 In 2006, he was named Chief designer of Hachiya. In 2008, he was named executive director of Hachiya. His new line, Just Heart, was launched and widely greeted with enthusiastic feedback by the market. He has collected information on textiles and materials from all over the world and developed activities for Think Bee! original items for more than 20 years. He has created the world view of Think Bee! with story-like design, as if painting a picture. Every day he travels the world with curiosity and powerful creative ability. 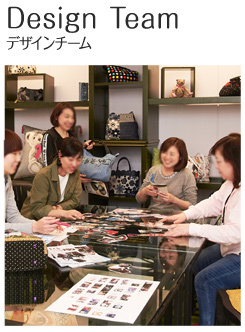 2004: Studied design under Mr. Goro Kawai, designer, in the design room of Think Bee! She has an atelier near Luxemburg Park and supports the .Think Bee! design room. Her embroidered designs with sparkling beads and sequins are elegant and the striking color schemes are outstanding. Recently, her designs are reflected in a wide variety of new articles, such as textiles, print fabrics and decorations.Articles born from her classical sense education in Western European art are loved by many Think Bee! fans. Both of her grandfathers and parents were designer at TEXNOVA, so she was naturally interested in designing while playing around the office and factory. In 1996, she started her career in textile design after graduating from art school in Monza, Italy. In 2010, she started working at TEXNOVA to develop new articles. Since then, she has also supported artwork for Think Bee!. 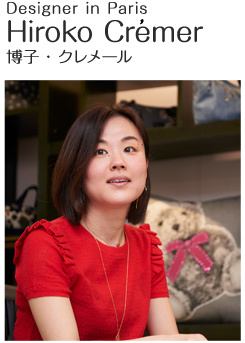 She is now working for premium brands in Europe to design their apparel, wall textiles. Her textile designs spring forth from her bountiful imagination and are extremely delicate and beautiful. She is also now trying to recreate traditional designs with her limitless curiosity and energy. She dares to design colorful motif such as flower and fruit in simple, reduced color palettes, which explores a new field of Gobelin tapestry. She frequently appeared on the Shop Channel TV show to introduce "the Strawberry of Francesca" series. Continuing for more than 3 decades, over 2 generations, the relationship between Think Bee! and TEXNOVA succeeds and is sustained by her. We continue to exchange ideas for new developments with enthusiastic energy. 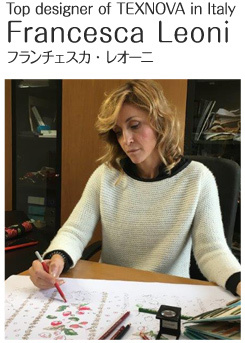 Mr. Goro Kawai is the chief designer in the design room, leading the core team of Mrs. Hiroko Cremer and Ms. Francesca Leoni, with many other designers playing active roles.Think Bee! works perfected at their hands. We are proud to be professionals in each field and are pursue our chosen fields daily.Sometimes we use customers' purchases and opinions as hints for creation of new items.Some works are completed at a stroke, but many others see repeated changes over several years. We reflect the opinions of the designers and make improvements until we are totally satisfied. Our challenge to raise the degree of perfection continues.